Pelenna Patchworks: English Paper Piecing made easy - new range of fabric charm packs and freezer paper templates! English Paper Piecing made easy - new range of fabric charm packs and freezer paper templates! 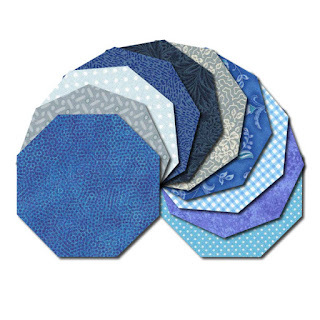 We have supplied hexagon charm packs for a while now, and they've proven so popular that we have now expanded our range for English paper piecing to include octagon charm packs, hexagon charm packs, triangle charm packs, diamond charm packs and small square charm packs, as well as a full range of corresponding freezer paper templates. 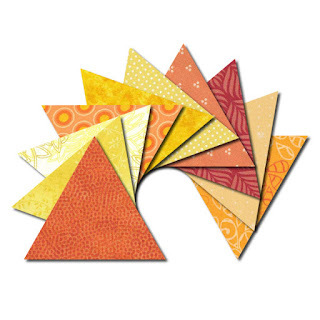 Each shape is available in three different sizes - these packs really do take the faff out of English paper piecing, making this method ideal for a no fuss 'sew on the go' project!